Bring the children and their bikes along to these ParkRide Family Cycle FunDays! These events will include a Cycle FunZone — including ramps, limbo bars, and seesaw. There will be cycle coaching and a challenge course too! Dr Bike will carry out bike safety checks and provide a basic maintenance service for attendees. 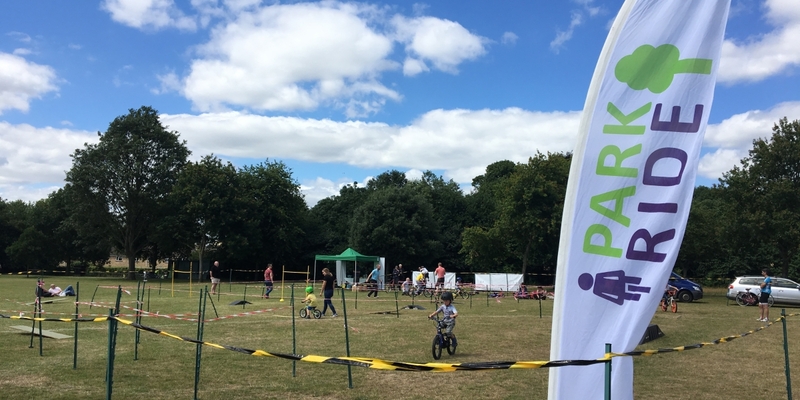 ParkRide organisers will be available to provide advice and lead a Learn to Ride session to guide little ones while they learn to balance and control their bike, and then move on to introduce pedaling. For those who are able to ride, a led family ride will be taking place as well! Please don’t forget to bring your own bike for these FunDays! However, there will be some balance bikes available and free to borrow for those under 6 years old. These are casual drop-in sessions and activities run simultaneously but we would appreciate if you would register in advance so we have an idea of numbers interested to attend during the session. Please register through EventBrite by clicking on the links above for the event you want to attend and clicking ‘Register’. You do not need to bring your booking confirmation with you and these will not be checked.